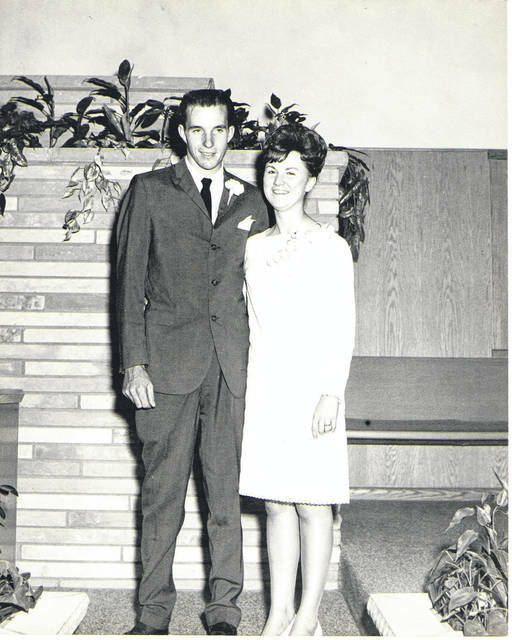 Karen and Dan Cornell will be celebrating 50 years of marriage on Aug. 18 from 2 to 5 p.m. at Crown City Community Church, 86 Main Street, Crown City. Contact lorie.cornell@arbor.edu or 517-745-7872.
https://www.mydailytribune.com/wp-content/uploads/sites/42/2018/08/web1_Dan-Karen-Cornell-wedding-pic.jpgKaren and Dan Cornell will be celebrating 50 years of marriage on Aug. 18 from 2 to 5 p.m. at Crown City Community Church, 86 Main Street, Crown City. Contact lorie.cornell@arbor.edu or 517-745-7872.